Abdominal muscle layers. 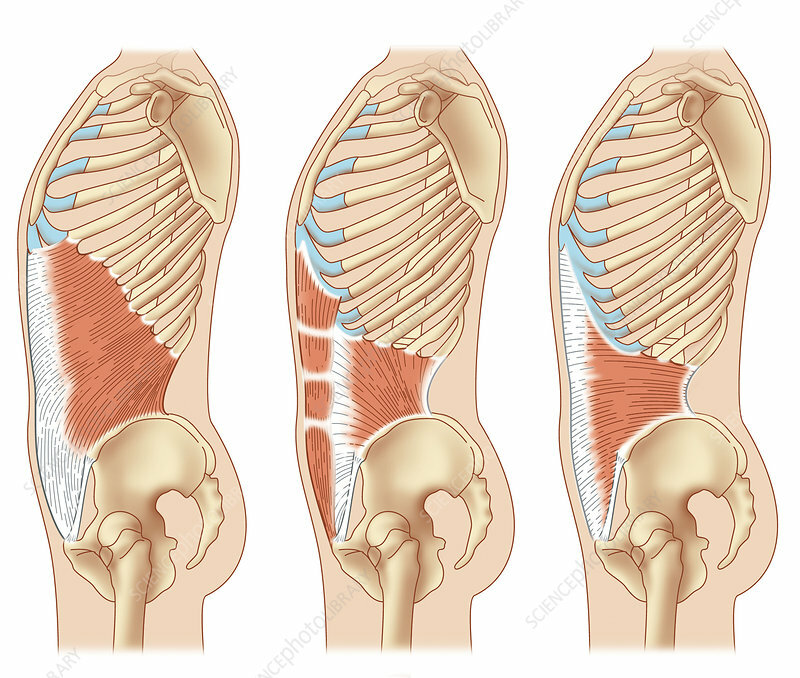 Artwork showing the layers of muscles in the abdomen, as seen from the side, and their attachment points to the ribs and pelvis. The abdominal muscles are red. Fibrous bands holding the muscles together are white. The costal cartilages of the rib cage are shown in blue. The muscles are the abdominal external oblique (left), the abdominal internal oblique and rectus abdominis (both at centre) and the transversus abdominis (right).